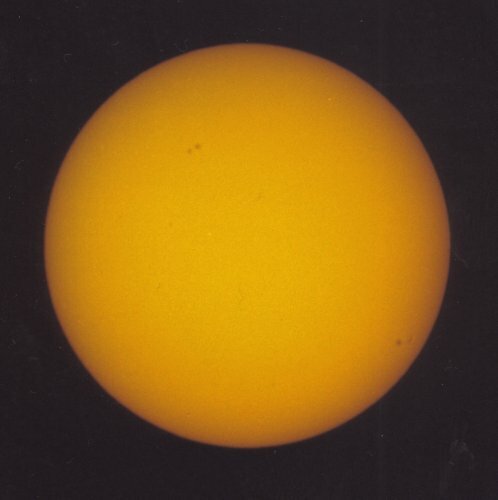 ETX f13.8, Kodak Gold 200, 1/125 with Thousand Oaks Type 2 Solar Filter. Four solar storms, northwest & southeast. Kodak Gold 100, SCT 8 f10, 1/30 with Kenwick Focuser. and an animation for those with the patience to download 504k bytes. Orion Nebula (M42) - 1999 02 28. 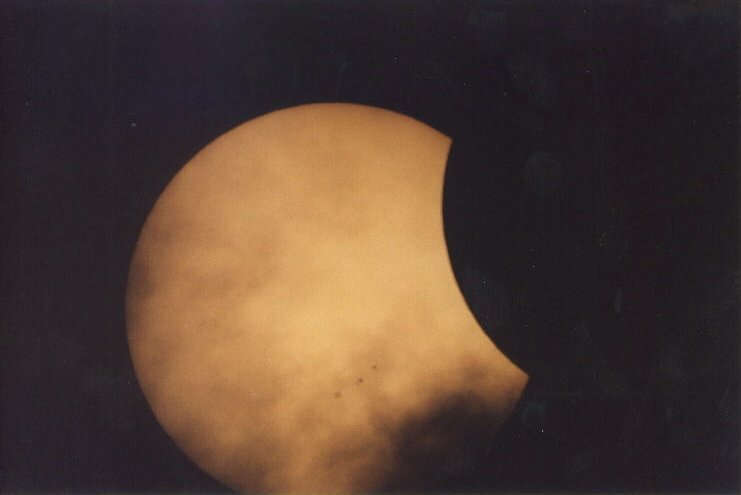 Moon, 1998 09 29, 1752 UTM. 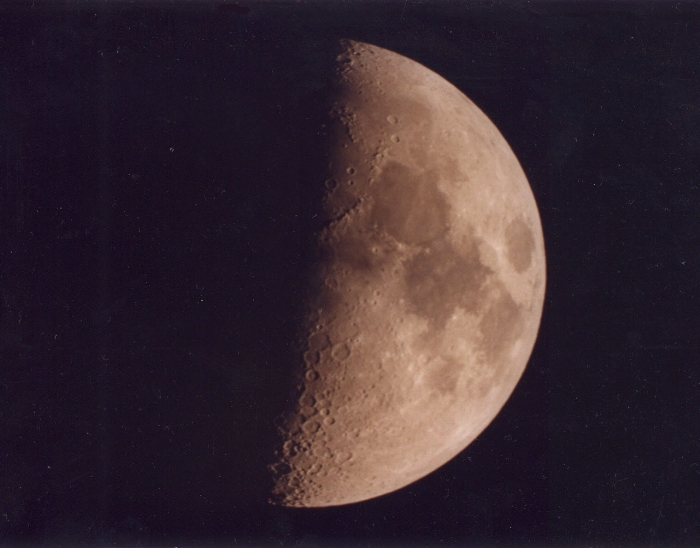 Moon 9 days old (new moon: 17:01 20-Sep-1998). Adventures & Reference Notes (coming soon) Adventures are my own. Reference Notes are helpful tidbits I have collected (mostly off the web) to assist in my Adventures.